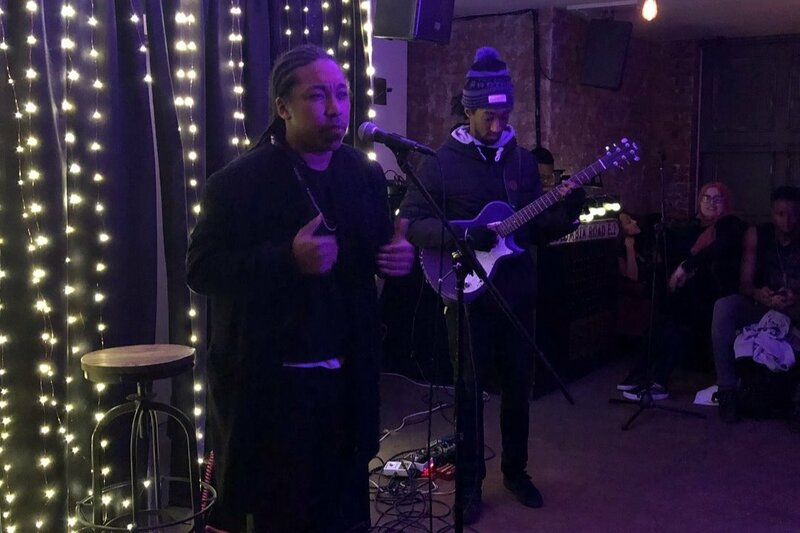 Hello & thank you for taking the time out to read my campaign. 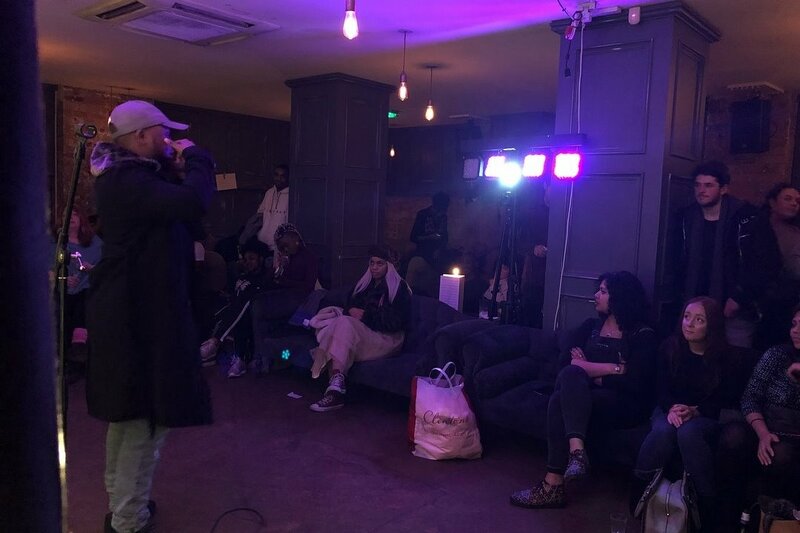 My name is Dialectic Dee and I am a 19 year old spoken word artist from South London. 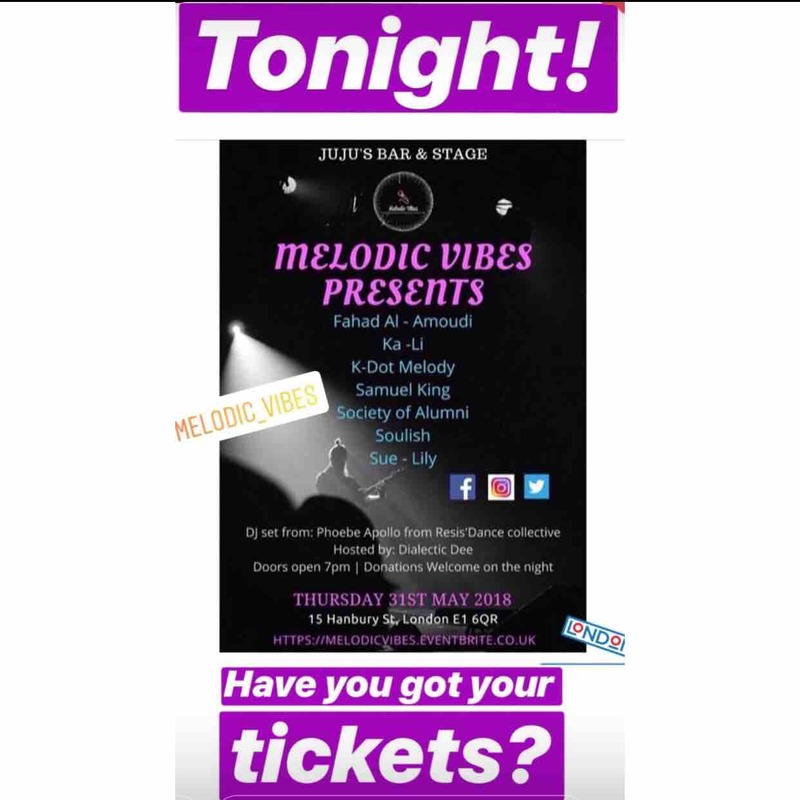 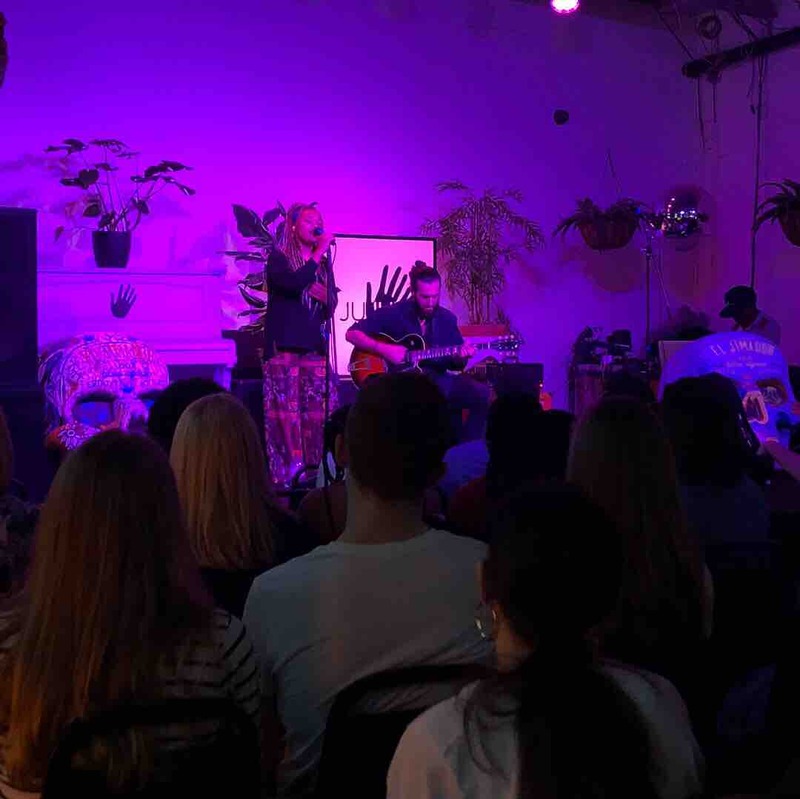 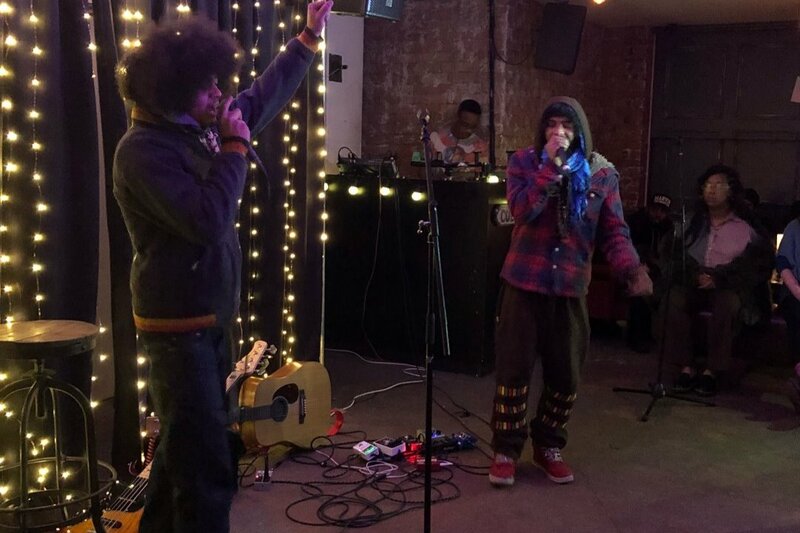 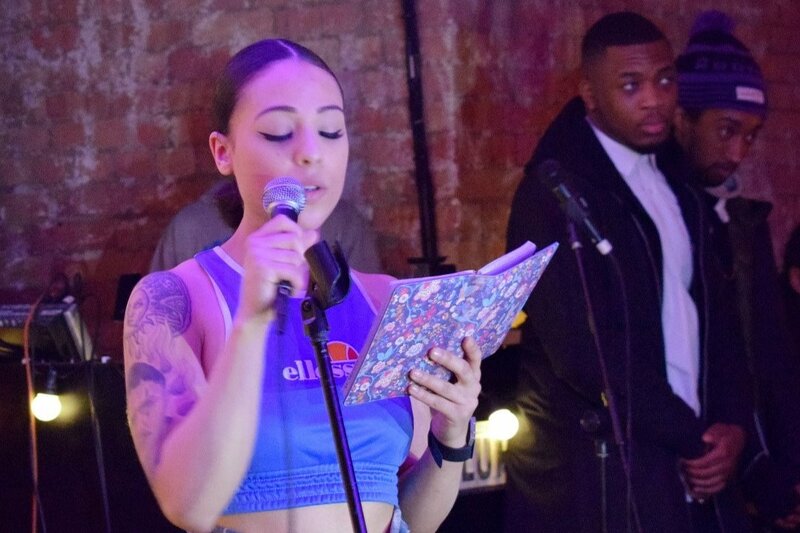 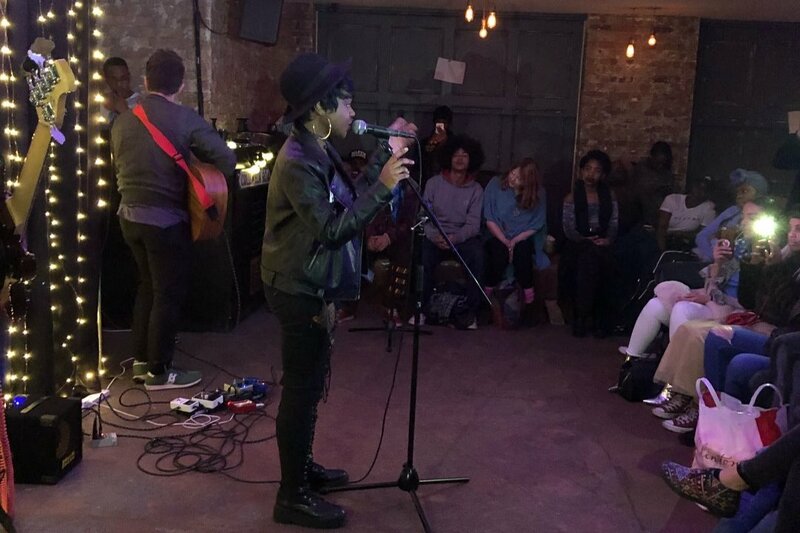 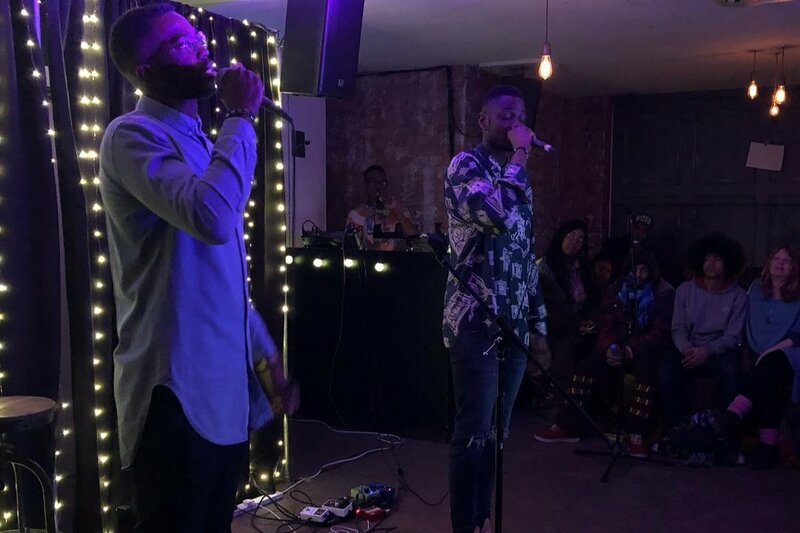 I recently produced an external event called ''Melodic Vibes'' as part of my university degree at The Guildhall School of Music & Drama; a live acoustic music night, featuring some of London's finest up & coming rapper's, singers & poets. 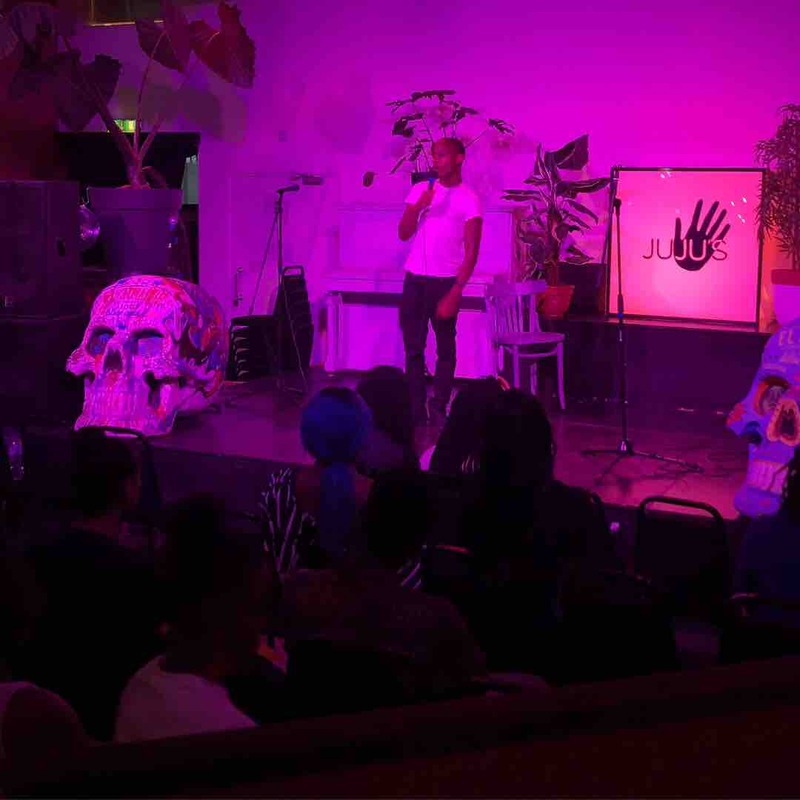 The project was extremely successful and since then I have received an exceptional amount of feedback, love and support from people who attended the event and beyond. 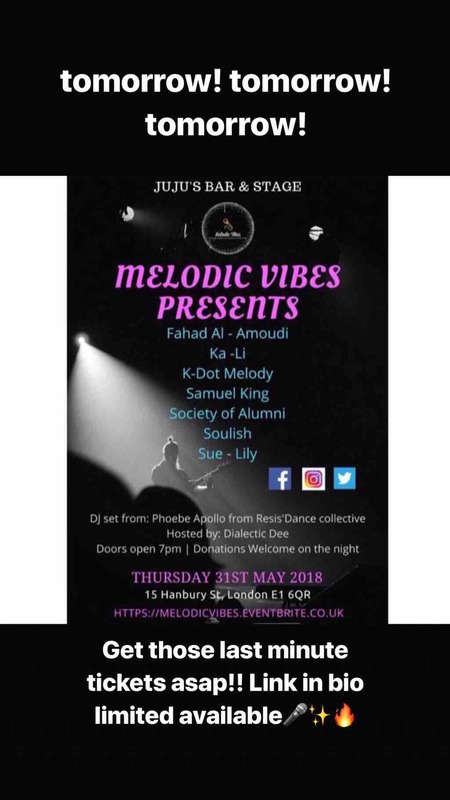 In putting on such a moving event it has made me realize that this is something I would like to continue to pursue periodically as I feel that ''Melodic Vibes'' has great substance in recognizing, celebrating and championing emerging artists by offering them a valuable experience and platform to perform, network with like minded individuals, gain more exposure and reach new target audiences. 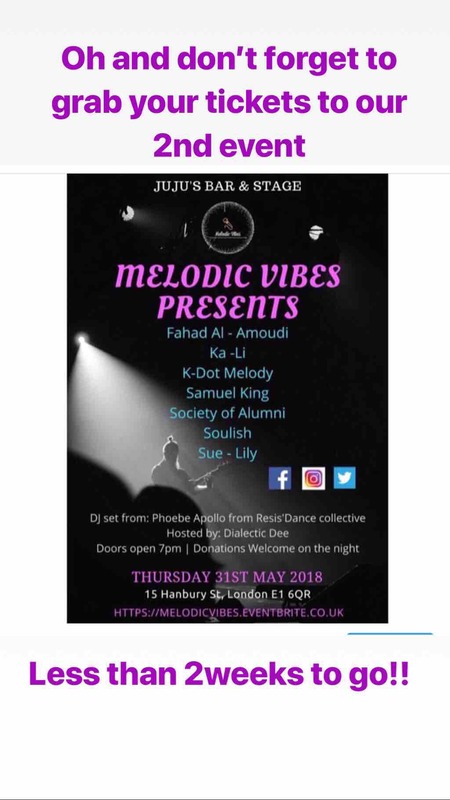 Due to there being such a high demand for Melodic Vibes to return I would ideally like to run my 2nd event by the end of May / beginning of June, however I am going to need some financial support in order to be able to do so! 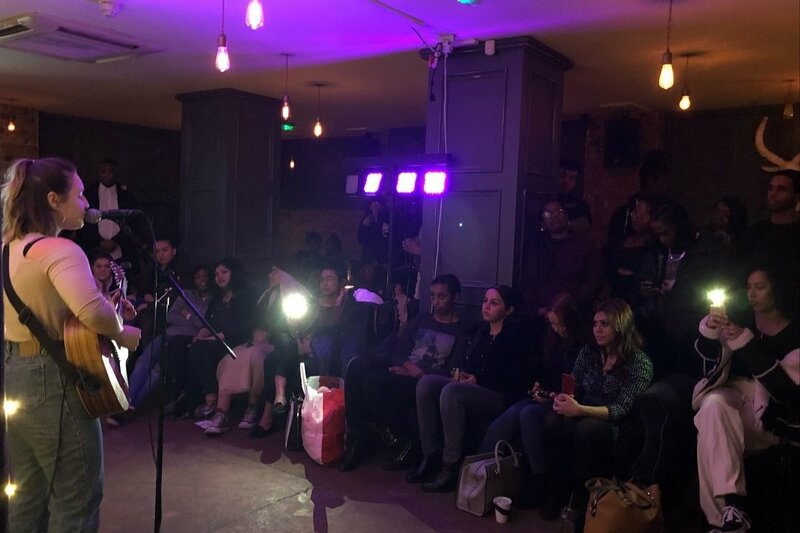 This is where you guys could possibly come in! 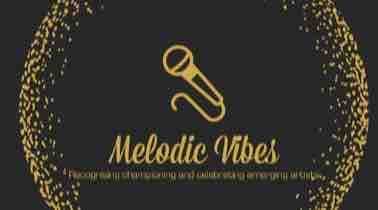 I would really appreciate it if you could donate anything you can to help me get Melodic Vibes up and running. 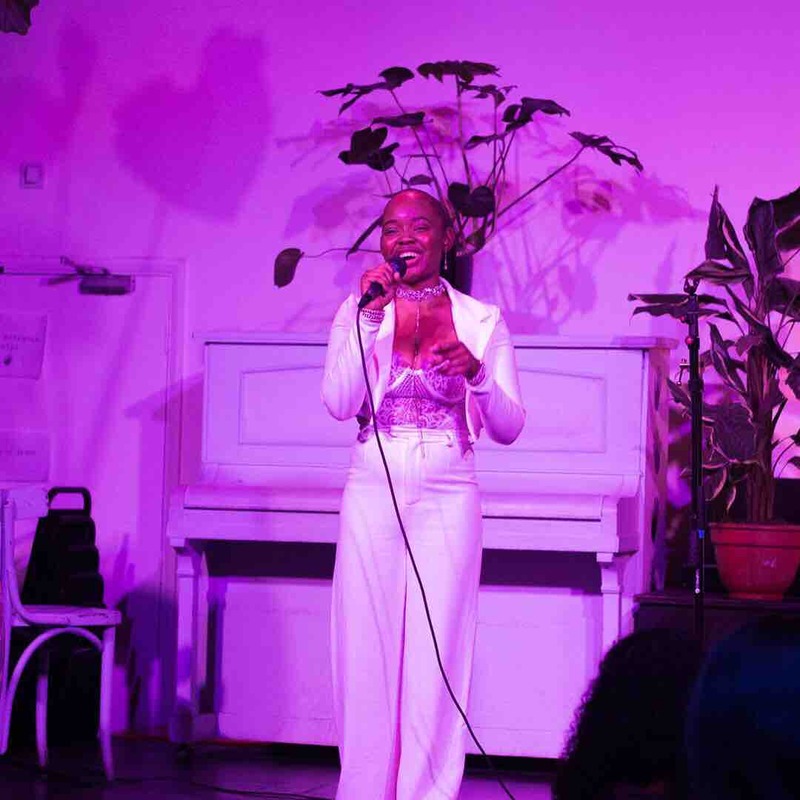 I am super grateful for all of your contributions no matter how big or small as every little counts and will enable me in bringing my vision to life. 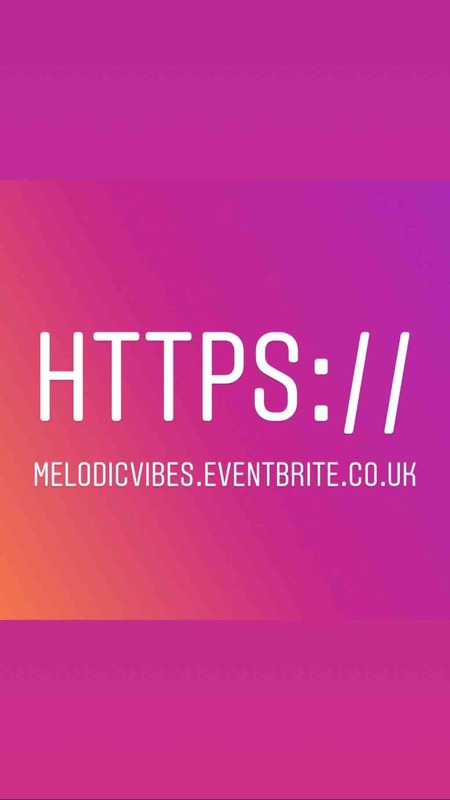 As a small thank you for your donations I would like to offer to add you to the exclusive Melodic Vibes Mailing list where you will receive exciting first hand updates and have first dibs on early bird ticket releases to future shows .